In Case C-284/16 Achmea, the European Court of Justice (ECJ) found an arbitration clause in an international investment agreement (IIA) between two European Union (EU) member states incompatible with EU law. This landmark ruling is likely to have profound consequences for investment arbitration clauses in current and future investment treaties and chapters concluded by EU member states or the Union itself. In this piece I discuss the judgement from an EU constitutional point of view and subsequently analyze the potential consequences. The key to understanding the Achmea judgment is the Union’s unique judicial structure and how it may be affected by ISDS. Under the EU Treaties, EU member state courts and the ECJ collaborate and enter into a dialogue in resolving disputes that somehow involve EU law. Through the preliminary reference mechanism under Article 267 of the Treaty on the Functioning of the European Union (TFEU), EU member state courts essentially ask the ECJ questions about how EU law operates and are then required to follow the answers given by the ECJ. The ECJ attaches great importance to this dialogue (it refers to the mechanism as the “keystone” of the Union’s judicial system and to EU member state courts as its “guardians”) and will not permit—under any circumstances—that the power of EU member state courts to make preliminary references be affected. The preliminary reference system is vital because it ensures that EU law operates effectively and uniformly throughout the Union and preserves the essential characteristics of the EU legal order. These essential characteristics are that EU law stems from an independent source of law—the EU Treaties—that operates completely independently from both international and domestic law (it is “autonomous”) and has “primacy” over those sources. For the ECJ, to ensure the full effectiveness of EU law, it is therefore crucial to preserve the power of EU member state courts to make preliminary references. Since ISDS tribunals essentially remove disputes from the jurisdiction of EU member state courts, and consequently from the Union’s judicial system, the Achmea ruling came hardly as a surprise to EU law insiders. The Achmea case essentially concerned a preliminary reference by the German Federal Court of Justice over whether EU law precluded the application of an arbitration clause in an IIA between EU member states. Slovakia had challenged before German courts the jurisdiction of an investment tribunal constituted under the Dutch–Slovak bilateral investment treaty (BIT). A Dutch investor (Achmea) had seized that investment tribunal over a partial reversal of the Slovak government’s decision in 2004 to privatize the health insurance market. In 2007 Slovakia had prohibited the distribution of profits generated by private health insurance activities. The investment tribunal considered this a breach of the BIT and awarded Achmea damages of EUR 22.1 million. However, there was also an EU law dimension to the dispute between Achmea and Slovakia as undertakings established in the Union can rely on the EU internal market’s fundamental freedoms, including the free movement of capital and freedom of establishment. These rights are guaranteed by EU member state courts. Moreover, the European Commission, as “guardian of the EU Treaties,” is entitled to bring infringement proceedings against EU member states for infringing those freedoms. However, the Commission dropped those proceedings against Slovakia following a ruling by the Constitutional Court of Slovakia and subsequent legal amendment that once more allowed the distribution of profits. Accordingly, Achmea could have sought damages against Slovakia in Slovakian courts for its non-contractual liability for infringing EU law. Instead, it brought a claim before an investment tribunal under the BIT, probably expecting a more favourable outcome. This is not surprising, as the investment law regime tends to be less deferential to state interests than the EU judiciary. The ECJ’s judgment was as straightforward as it was constitutional, addressing three key features of the arbitration clause in the BIT that made it incompatible with the European Union’s judicial system and the autonomy of EU law. After recalling the essential features of the autonomy of the EU legal order (paras. 32–38), the court ascertained that disputes an arbitration tribunal may be called to resolve “are liable to relate to the interpretation or application of EU law” (para. 39). For the ECJ, the mere fact that a tribunal could “take account in particular of the law in force of the contracting party concerned and other relevant agreements between the contracting parties” was sufficient to come to that conclusion (paras. 40–42). 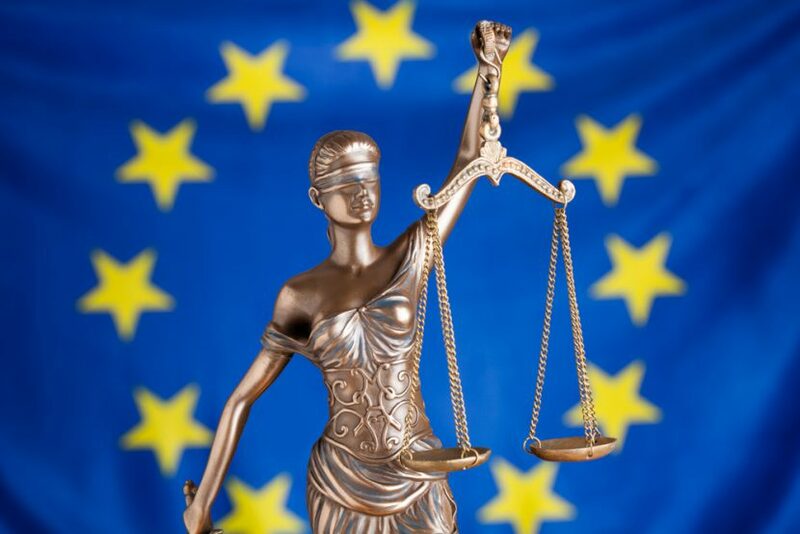 Having established the important point that investment tribunals could potentially interpret EU law, the ECJ moved on to the question whether such tribunals are part of the Union’s judicial system. If this was the case, these tribunals would be subject to Article 267 TFEU and therefore the full effectiveness of EU law could be preserved, because, among other reasons, those tribunals could then make preliminary references. On this particular point, Advocate General Wathelet had made an argument that investment tribunals set up under IIAs between EU member states could be seen as a court or tribunal “common to two [EU] member states” similar to the Benelux court. In other words, the argument was that investment tribunals were not an internationally independent alternative to the domestic judiciary, but part of it. The ECJ, however, simply found that “the arbitral tribunal is not part of the judicial system of the Netherlands or Slovakia.” It noted that “it is precisely the exceptional nature of the tribunal’s jurisdiction compared with that of the courts of those two [EU] member states that is one of the principal reasons for the existence” of the arbitration clause in question (para. 45). Given that the investment tribunal could interpret or apply EU law, but was not part of the Union’s judicial system, the third and final consideration for the ECJ was whether awards issued by the tribunal were subject to review by an EU member state court. For the ECJ this was necessary to ensure “that the questions of EU law which the tribunal may have to address can be submitted to the Court by means of a reference for a preliminary ruling” (para. 50). In other words, for the ECJ it was key that the Union’s judicial system remained in full control over the potential interpretation and application of EU law. Here, the court made two important findings. First, it noted the freedom for the investment tribunal to choose its seat and consequently the law applicable concerning the review of awards. Second, it noted that judicial review of awards is very limited under German law. According to the ECJ, while this may be acceptable in the context of commercial arbitration, investment arbitration is fundamentally different. Investment arbitration “derive[s] from a treaty by which [EU] member states agree to remove from the jurisdiction of their own courts, and hence from the system of judicial remedies which [EU law] requires them to establish in the fields covered by EU law, disputes which may concern the application or interpretation of EU law” (para. 55). These three key features of investment arbitration (possibility of interpreting EU law, not being part of the EU judicial system and limited means of review of awards) led the ECJ to conclude that EU member states “established a mechanism for settling disputes between an investor and a [EU] member state which could prevent those disputes from being resolved in a manner that ensures the full effectiveness of EU law, even though they might concern the interpretation or application of that law” (para. 56). The ECJ added that the arbitration clause “is such as to call into question not only the principle of mutual trust between [EU] member states but also the preservation of the particular nature of the law established by the Treaties, ensured by the preliminary ruling procedure provided for in Article 267 TFEU, and is not therefore compatible with the principle of sincere cooperation” (para. 58). The Achmea ruling calls for a number of comments on the ECJ’s approach toward investment tribunals and on the consequences of the ruling for investor–state dispute settlement (ISDS) in Europe. First, the judgment not only confirms the ECJ’s strong attachment to preserving the powers of EU domestic courts, but also shows how the ECJ views investment tribunals. It does not view investment tribunals as part of the Union’s domestic judiciary, nor does it see them as a complement to the domestic judiciary at international level. Rather, it sees investment tribunals as rivals and threats to the Union’s judicial system. This also makes ISDS different from state–state mechanisms under international law. For the ECJ, through arbitration clauses, EU member states remove disputes from the jurisdiction of their own courts and hence from the system of judicial remedies which EU law requires them to establish in fields covered by EU law. The ECJ is not so much concerned with actual conflict between EU law and international investment law. It is concerned that a dispute that may potentially involve questions of EU law is removed from EU courts. For the ECJ, this is problematic, because EU member states are required under Article 19 TEU to ensure that their own courts are able to provide remedies in fields covered by EU law. This is a potentially far-reaching doctrine based on pre-empting any dispute that can be resolved by the Union’s judicial system from falling into the hands of investment tribunals, rather than avoiding actual direct conflict between EU law and investment law. How far-reaching are the consequences of the Achmea judgment for investment arbitration? Certainly, intra-EU BITs with arbitration clauses are affected (currently around 200 of these BITs exist). While the ECJ cannot invalidate the Dutch–Slovak BIT, EU law does require national courts to set aside and preclude the application of incompatible national and international law. This means practically that enforcement of awards stemming from such tribunals before courts of EU member states has become legally impossible. Moreover, such awards can be challenged before EU courts. This also holds true for awards by tribunals at the International Centre for Settlement of Investment Disputes (ICSID), as EU law trumps any incompatible international law obligations between EU member states. In addition, the Commission may recommence its infringement proceedings against EU member states for not terminating their intra-EU BITs. Under the EU Treaties, the Commission may bring an action against EU member states for breaching EU law before the EU courts. Ultimately, this may result in financial penalties for EU member states. Lastly, individual applicants, such as non-governmental organizations, may start challenging the validity of these intra-EU BITs before EU member state courts. More complex is the question of the future of extra-EU BITs—those concluded between EU member states and non-member states. The thrust of the ECJ’s reasoning makes it clear that arbitration clauses contained in such agreements are not immune from challenge.5 Indeed, tribunals under such treaties may very well potentially remove disputes involving questions of EU law and EU remedies from EU member state courts. As a result, EU member states may be required to terminate these agreements, and the enforceability of awards before EU member state courts is in doubt. Even so, we will have to wait for a definitive decision on the matter from the ECJ in the future. In any event, EU member states may still be able to perform their obligations under BITs concluded before EU membership under the conditions set out under Article 351 TFEU. This article allows EU member states to honour their international commitments to third states undertaken before becoming EU member states. However, the text of the article suggests that it only relates to obligations of EU member states toward third states, not individuals. Moreover, it imposes obligations on EU member states to take all appropriate steps to eliminate incompatibilities, including denunciation of international agreements. Likewise, obligations under the ICSID Convention and enforcement of ICSID awards may result in similar legal questions. Lastly, Achmea casts dark clouds over the future regarding IIAs containing some form of ISDS negotiated by the European Union itself. The Commission has taken some precautions in recently negotiated agreements such as the Comprehensive Economic and Trade Agreement (CETA) with Canada. Whether these precautions are sufficient will become clear when the ECJ delivers its Opinion 1/17 on CETA. Already in Opinion 2/15, the ECJ found that an ISDS mechanism similar to the one in CETA in the EU–Singapore free trade agreement (FTA) removed disputes from the jurisdiction of EU member states. And these disputes may very well, at least potentially, fall within areas covered by EU law. Case 284/16 Slovak Republic v. Achmea EU:C:2018:158. Retrieved from http://curia.europa.eu/juris/celex.jsf?celex=62016CJ0284&lang1=en&type=TXT&ancre. Opinion 2/13 Accession to the ECHR EU:C:2014:2454, para. 176. Retrieved from http://curia.europa.eu/juris/document/document.jsf?docid=160882&doclang=EN; Opinion 1/09 European and Community Patents Court  ECR i-1137, para. 66. Retrieved from http://curia.europa.eu/juris/celex.jsf?celex=62009CV0001&lang1=en&type=TXT&ancre. Case 284/16 Slovak Republic v. Achmea, supra note 1, paras. 32–38. See list of blog entries: Schepel, H. (2018, March 23). From conflicts-rules to field preemption: Achmea and the relationship between EU law and international investment law and arbitration. European Law Blog. Retrieved from http://europeanlawblog.eu/2018/03/23/from-conflicts-rules-to-field-preemption-achmea-and-the-relationship-between-eu-law-and-international-investment-law-and-arbitration; Niemelä, P. (2018, March 18). Achmea – A perspective from international (investment) law. European Law Blog. Retrieved from http://europeanlawblog.eu/2018/03/15/achmea-a-perspective-from-international-investment-law/; Thym, V.D. (2018, March 9). The CJEU ruling in Achmea: Death sentence for autonomous investment protection tribunals. EU Law Analysis. Retrieved from http://eulawanalysis.blogspot.be/2018/03/the-cjeu-ruling-in-achmea-death.html; Hindelang, S. (2018, March 9). The limited immediate effects of CJEU’s Achmea Judgement. Verfassungsblog. Retrieved from https://verfassungsblog.de/the-limited-immediate-effects-of-cjeus-achmea-judgement/; Szilágyi, S.G. (2018, March 7). The CJEU Strikes Again in Achmea. Is this the end of investor-State arbitration under intra-EU BITs? International Economic Law and Policy Blog. Retrieved from http://worldtradelaw.typepad.com/ielpblog/2018/03/guest-post-the-cjeu-strikes-again-in-achmea-is-this-the-end-of-investor-state-arbitration-under-intr.html; Requejo, M. (2018, March 8). A European law reading of Achmea. Conflict of Laws.net. Retrieved from http://conflictoflaws.net/2018/a-european-law-reading-of-achmea/. See Niemelä, supra note 4. Case C-284/16 Achmea, supra note 1, paras. 84–131. Schepel (2018), supra note 4. Case 106/77 Simmenthal II EU:C:1978:49, para. 17. Retrieved from https://eur-lex.europa.eu/legal-content/EN/TXT/?uri=CELEX:61977CJ0106; Case 121/85 Conegate Limited v. HM Customs & Excise, EU:C:1986:114, para 26. Retrieved from https://eur-lex.europa.eu/legal-content/EN/TXT/?uri=CELEX%3A61985CJ0121. Article 351 TFEU cannot be invoked in an intra-EU context. See Case C–301/08 Bogiatzi v. Deutscher Luftpool and Others  ECR I–10185, paras. 16–20. Retrieved from http://eur-lex.europa.eu/legal-content/EN/TXT/?uri=CELEX%3A62008CC0301. It had already started such proceedings, but these were temporarily halted because of the then-pending Achmea ruling. See http://europa.eu/rapid/press-release_MEMO-16-3125_en.htm under 6. Case 812/79 Attorney General v. Burgoa  ECR 2787. Retrieved from http://curia.europa.eu/juris/celex.jsf?celex=61979CJ0812&lang1=en&type=TXT&ancre=. See for instance Case C-249/06 Commission v. Sweden EU:C:2009:119, retrieved from http://curia.europa.eu/juris/celex.jsf?celex=62006CJ0249&lang1=en&type=TXT&ancre=. CETA Article 8.31 contains several provisions that aim to ensure that investment tribunals under CETA will not interpret EU law. For a detailed assessment of these safeguards, see Ankersmit, L. (2016). The compatibility of investment arbitration in EU trade agreements with the EU judicial system. Journal for European Environmental and Planning Law, 13(1), 46–63. This Opinion was requested by Belgium following the crisis over the signing of CETA in October 2016. For more background, see Ankersmit, L. (2016, December). Belgium requests an opinion on Investment Court System in CETA. elni Review, 2, 54–58. Retrieved from https://www.researchgate.net/publication/321703966_Belgium_Requests_an_Opinion_on_Investment_Court_System_in_CETA. Opinion 2/15 EU-Singapore FTA U:C:2017:376, para. 292. Retrieved from http://eur-lex.europa.eu/legal-content/EN/ALL/?uri=CELEX:62015CV0002(01).